Theatre Royal was a series of radio dramas, adapted from English, American, French and Russian stories and novels, among others. It was first broadcast by the BBC in 1952-3 and shortly afterwards it was launched in the USA by NBC. 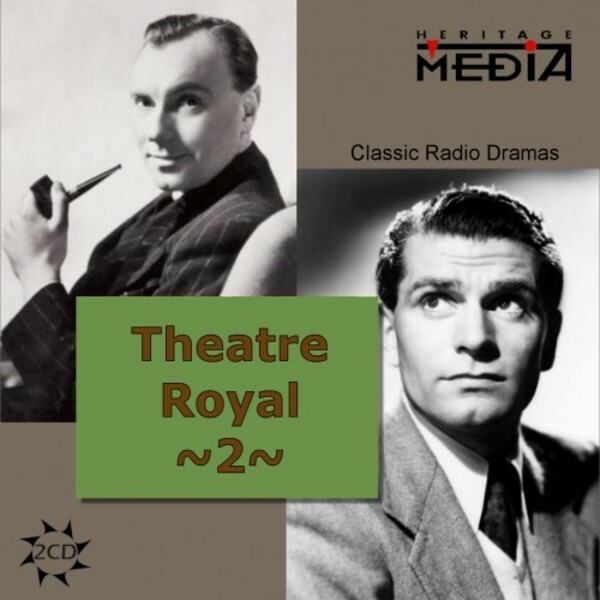 It is notable for being the only radio drama in which Laurence Olivier starred, and also featured some of the most respected names in British theater. The nine volumes are all packaged as 2-CD sets, each of which has 4 or 5 episodes which are linked � for example there is a Russian fiction set, one devoted to Dickens, and so on. The original broadcasts are out of copyright, but the only known existing versions, re-mastered several years ago and also again in 2012, are the property of Heritage Media (now a division of Divine Art).